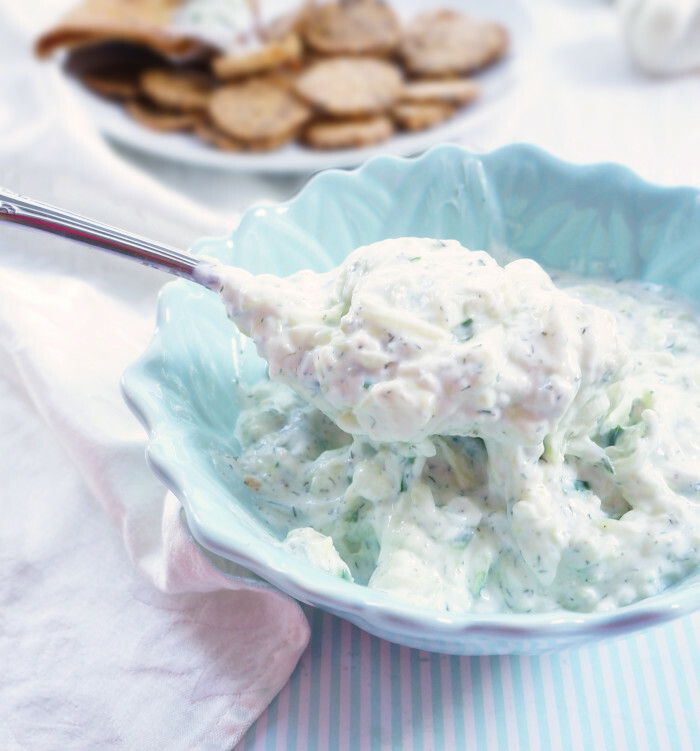 Rich and creamy tzatziki that’s high in flavour and nutrients, but low in calories. 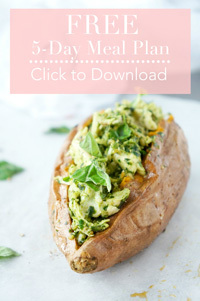 Use it as a healthy and high protein dip or spread! I’m not sure if I’ve mentioned this yet, but I absolutely LOVE Greek food. If I’m ever struggling to come up with a meal idea, usually I’ll do Greek. There’s just something about those flavours…. 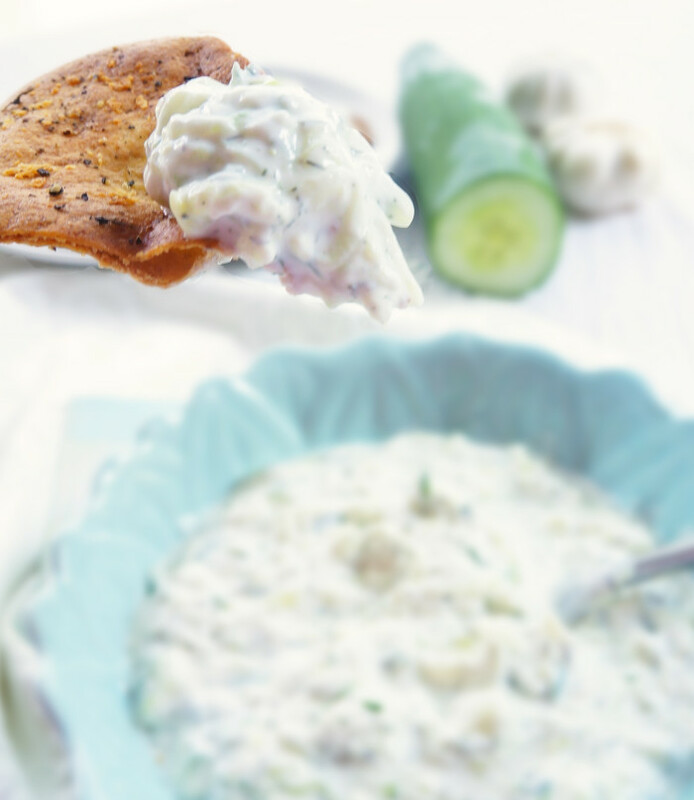 Yumm…I’m getting hungry just thinking about it..
Several weeks ago, Matt and I made a Greek-style meal with lemon and garlic marinated chicken, this heavenly Spiralized Cucumber Greek Salad, homemade baked pita chips and tzatziki. It turned out so good! I will get around to posting all of the recipes eventually! Bear with me..
Now in my opinion, a meal is not a Greek meal without some tzatziki. 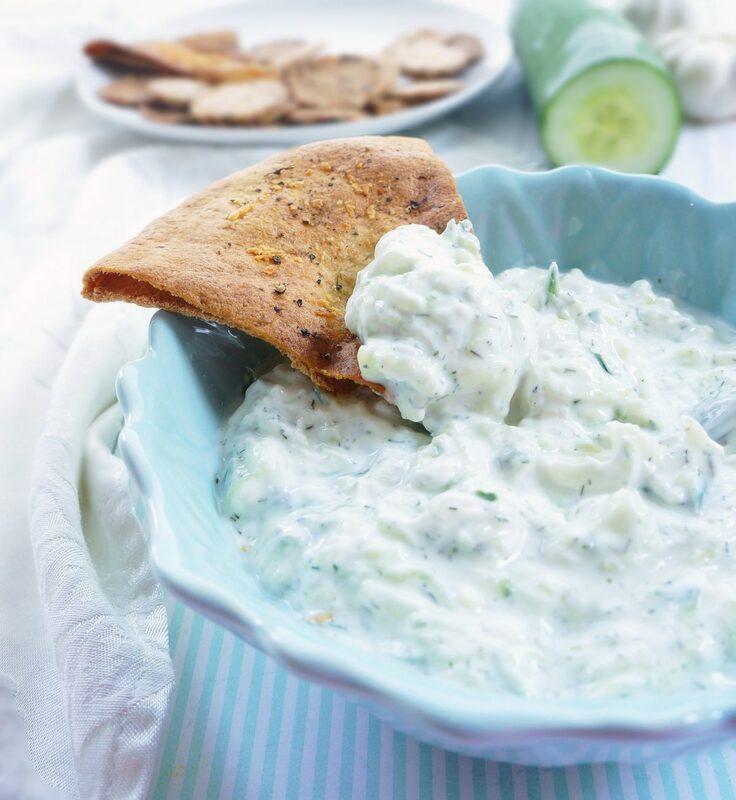 I love tzatziki because it tastes rich and creamy, but it’s actually quite light when considering its overall caloric content. Plus it’s packed full of calcium and protein! So basically, it’s the perfect dip or spread. I love using it to dip veggies or pita chips in, or evening serving it alongside some chicken to jazz it up a bit. It also tastes amazing on burgers. More to come on this in another post. So yeah, tzatziki is where it’s at. Measure out the yogurt into a metal strainer or coffee filter in a medium bowl. Place in the refrigerator and allow liquid to strain from the yogurt for several hours. Set aside. Peel and grate the cucumber. Drain the liquid from the cucumber in a metal strainer. It may help to use the back of a spoon to help squeeze out any excess liquid. In a medium bowl, combine shredded cucumber, garlic, yogurt, salt, pepper, lemon juice, dill, chives and refrigerate for a few hours before serving. Greek food is bomb! This looks yummy! Thank you Erin! I totally agree — Greek food is amazing!! 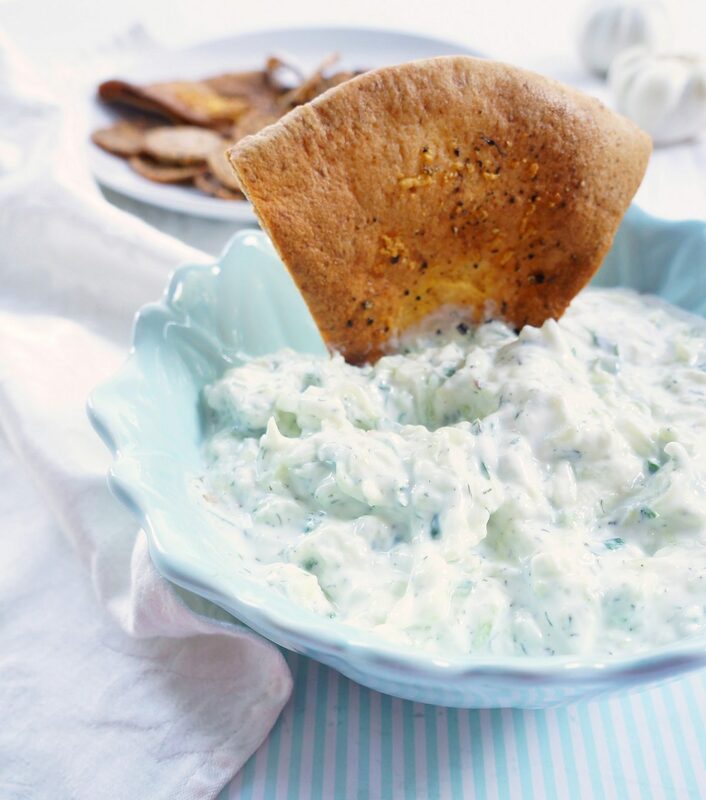 I adore tzatziki!! This looks perfect!